I’ve got to tell you, I am so excited about this new discovery. Maybe you have seen these really cool visuals where a background shows through the letters. 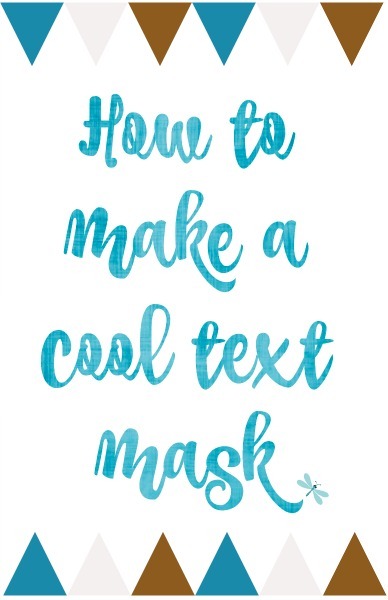 It is called Text Masking and these graphics are so eye-catching. Projects created using this technique appear technical and complicated. 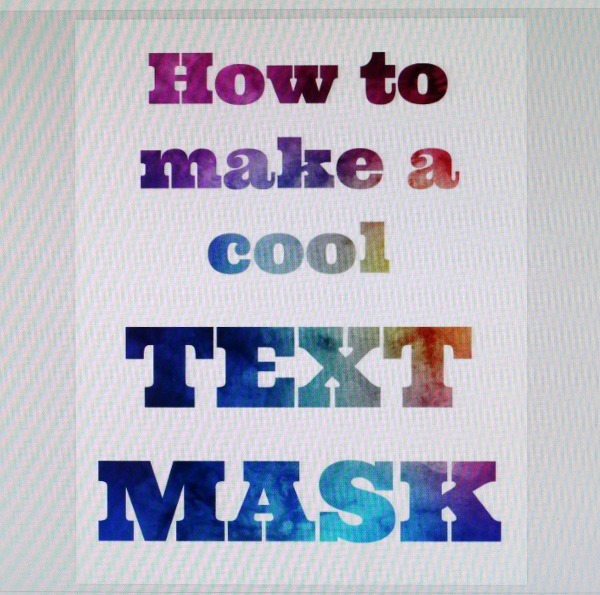 But they’re aren’t and I’ll show you the easy, how-to steps to make a text mask. There are affiliate links in this post. That means if you buy something from that link, I will earn a commission, but it won’t cost you anything additional. I’ve been using PicMonkey for many years now. When I wanted to edit photos in the past, I went to Photoshop. I learned my way around okay but there were a lot of steps and a lot of trial and error. Then I learned of PicMonkey and I was amazed how EASY it is to create really great photos. Every photo you see on my blog from the past so many years, I can’t even remember, was edited using PicMonkey. Seriously, once you get these few steps down, you will come up with many fabulous ways to use it. The possibilities are endless. 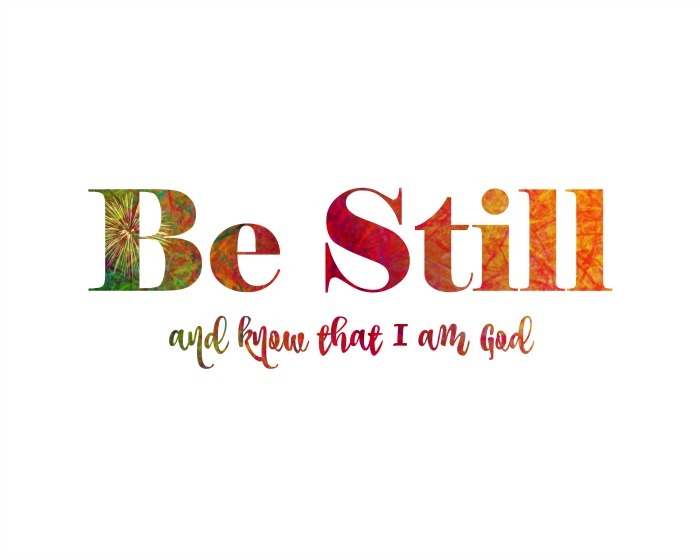 Here is one with a favorite bible verse. 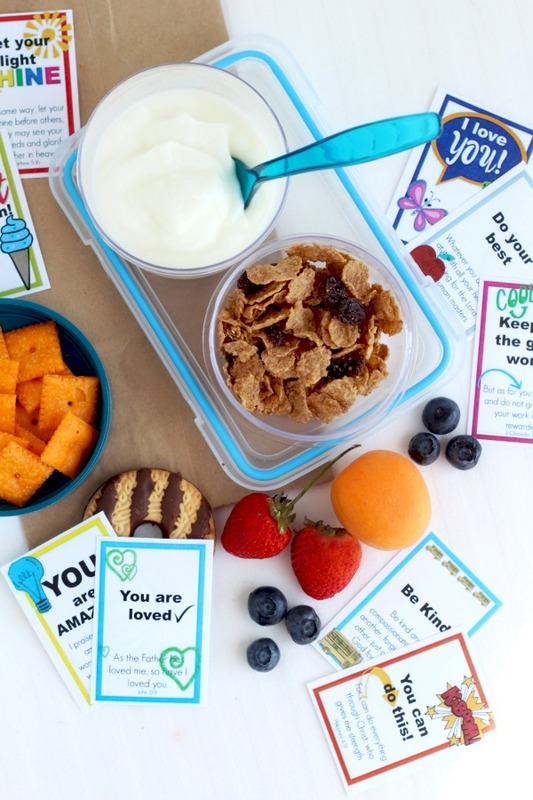 Sign up for a FREE PicMonkey 7 Day Trial. Membership unlocks a treasure trove of exclusive photo filters, design templates, touch up tools, fonts, overlays, and free storage—plus ads-free editing. Choose from a monthly or annual plan to start your free 7-day trial. I can’t believe all these years I’ve used PicMonkey and I didn’t know this technique was so easy to do. The image above almost looks like it was hand lettered in watercolor. Here is same image with a banner added. 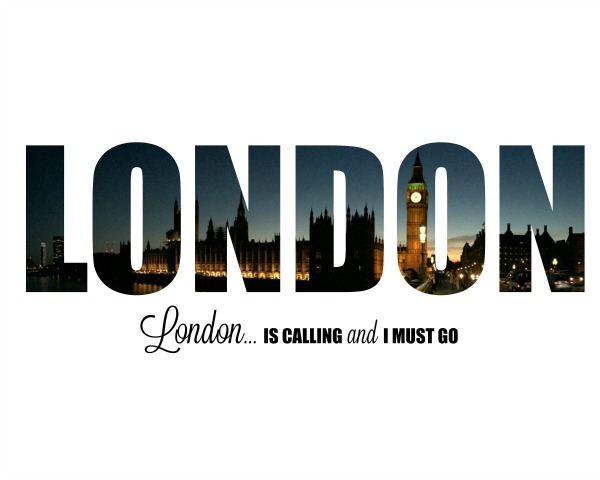 My favorite is this LONDON image. The background photo was taken of Big Ben from the Westminster Bridge during our London visit in the fall of 2015. See what I mean when I tell you I am so excited! I could make these all day 🙂 Your creative juices are probably already flowing with projects you’d like to create. 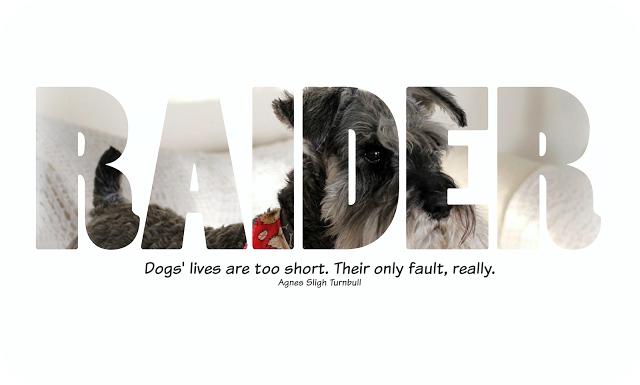 I had to make this one as a tribute to my sweet schnauzer boy who died last year. So are you ready? Let’s get started! 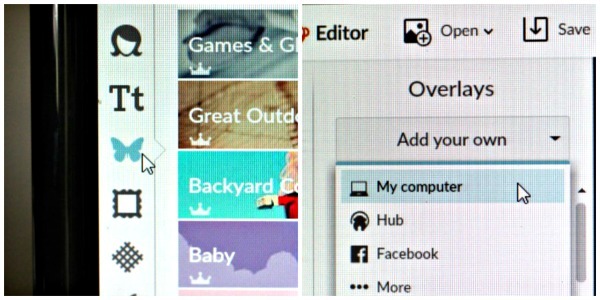 If you don’t already have a PicMonkey account, you can click the above banner to sign up. Log in to your PicMonkey. Open a Blank canvas in whatever size you want. These examples were 8 x 10 size. Now you have your blank canvas. You can rotate it to vertical or horizontal so think how you want the finished image to look. 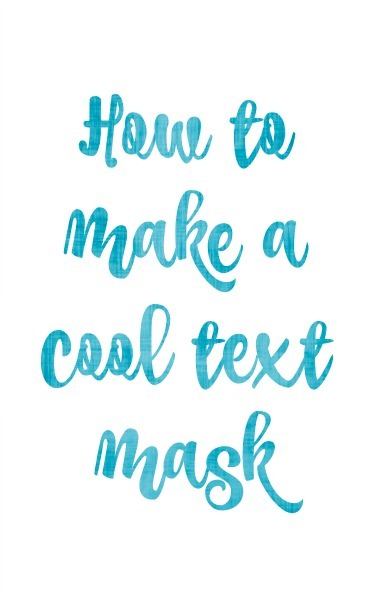 It is time to add your text. Click the Tt icon on the left sidebar. Click Add Text. Then click your desired font. Bigger, bolder fonts work best for this technique. 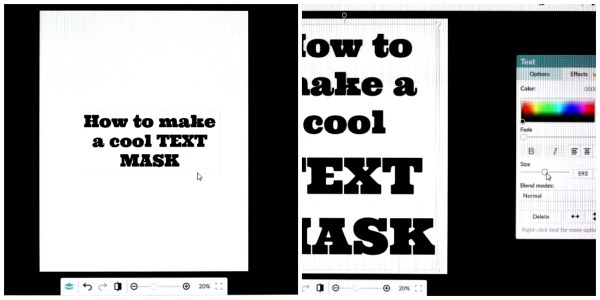 With your text showing, you can play around by making some words in capitals, larger or smaller. 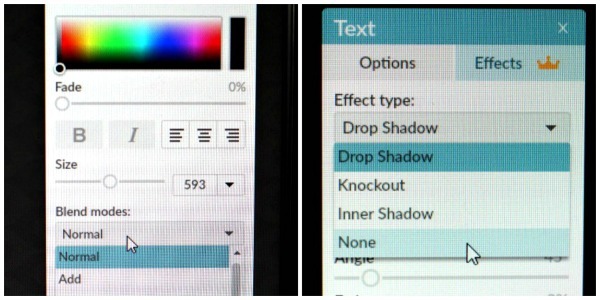 Use the slider in the text box until you get it how you like. 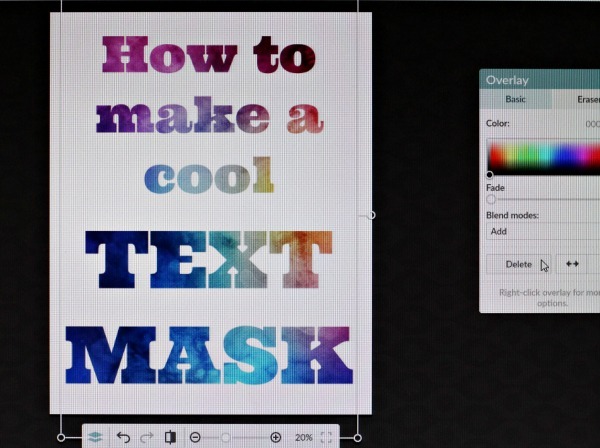 Make the text as large as you can so there is lots of space for the background image to show through. Look for the Overlays butterfly icon on the left and click. At the top, click Add Your Own, then My Computer. This will take you to your photo files where you can choose one to use as the background to your text. 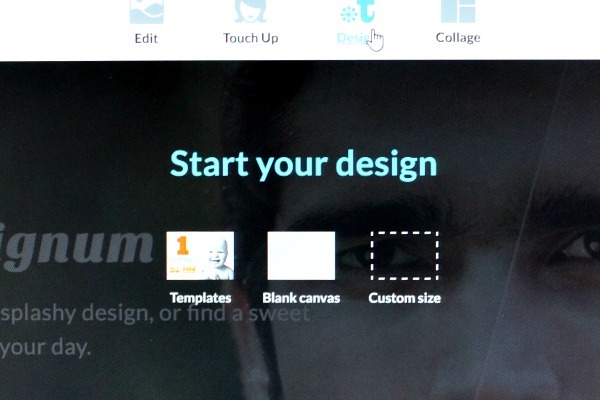 Your photo will appear over your canvas. You may have to adjust the size so that it covers all of the text. 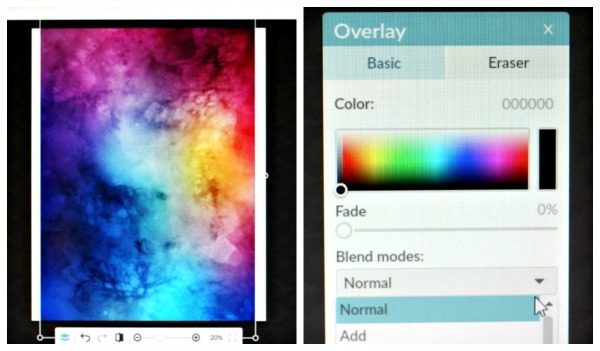 In the Overlay box, under Basic Blend modes: Add (the photo above looks like it is set to normal, but you need to set it to Add) When you click Add, this is what happens…. 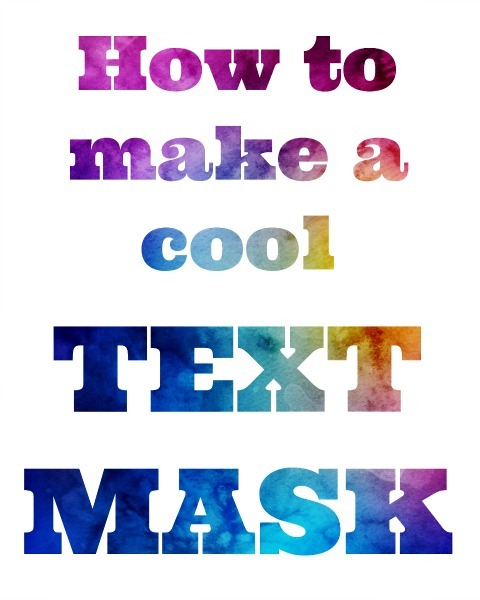 You just created a Text Mask! Open a blank canvas of desired size and leave white. There you have it. I do hope you give this a try. It’s really fun!